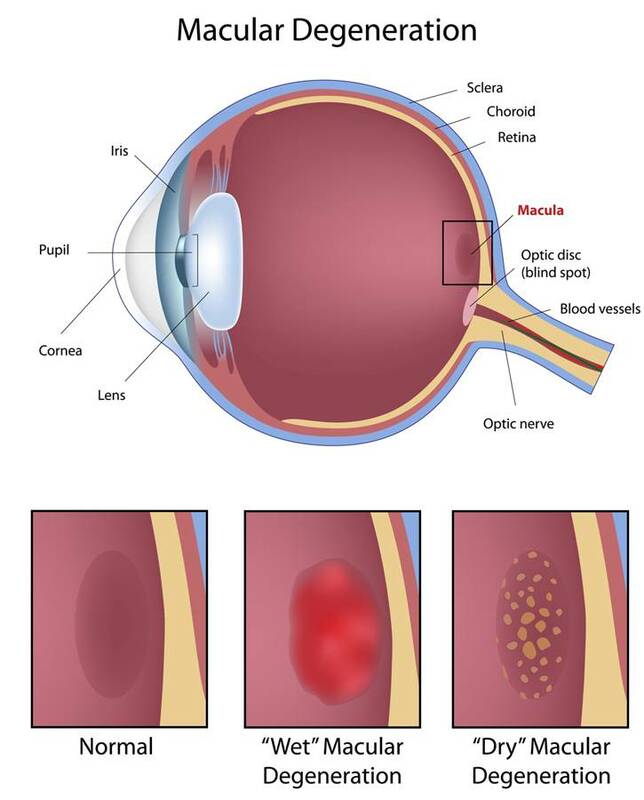 Macular degeneration is a very dangerous and all-too-common eye condition that robs a person of their central and detail vision by destroying the small part of the retina, called the maucla, that is responsible for this type of vision. Consequently, detail work such as threading a needle or activities such as reading a book, become very difficult or even impossible. Dr. Kevin Osborne, O.D. of Advanced Eyecare Associates, in Moses Lake, WA adds, "Macular degeneration can sometimes be a heart-wrenching ordeal, as the blank or blurry spot in the center of a person's field of vision often blots out faces, making it hard even to recognize close friends and loved ones. Macular degeneration usually comes on very slowly and is easily overlooked without routine eye exams, causing a significant loss of sight before detection. Especially for those over the age of 40 and/or with a family history of the disease, these routine eye exams are indispensable as a means of early detection and treatment, ensuring long term eye and vision health." Dry Macular Degeneration is a much more common condition than it's wet counterpart. Symptoms include blurry distance and/or reading vision, colors seeming much less vivid and difficulty seeing in dim lighting. 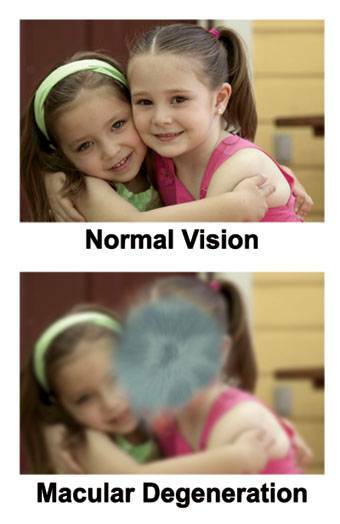 Macular degeneration that affects only one eye is often more difficult to detect without an eye exam. This results from your good eye making up for the short-comings of the vision in the bad eye. In this case, eye exams become even more important to detect and monitor the progress of this single-eye macular degeneration. Call Advanced Eyecare Associates (844) 324-4800 today to schedule an eye exam and find out more about Macular Degeneration. Regular exams and prevention are the best way to treat this very serious disease.